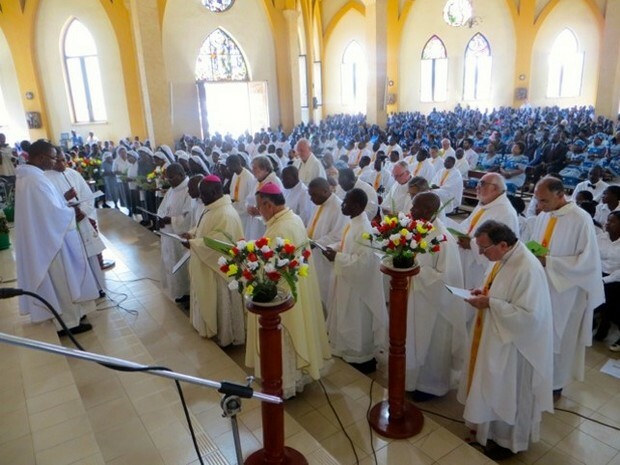 BALAKA, Malawi - 13th August 2016 marked the closing day of the Tercentenary celebration of St Louis-Marie de Montfort at St Louis Montfort Parish in Balaka. It was also a day when His Grace Rt Rev. Thomas Luke Msusa, SMM of Blantyre archdiocese, Fr Blaise Jailosi, SMM and Fr. Callisto Baluwa, SMM celebrated their 25th Anniversary in religious life. Organised by Montfort Missionaries and Daughters of Wisdom in collaboration with Balaka parishioners, the celebration attracted many people across Malawi. Six bishops (His grace Rt Rev. T. Ziyaye of Lilongwe archdiocese, Rt Rev. Montfort Stima of Mangochi, Rt Rev. George Tambala of Zomba, Rt Rev Musikuwa of Chikwawa, Rt Rev. A. Pagani, smm Emeritus bishop), religious and priests, Patricia Kaliati, Minister of Information and ICT Development and political party leaders, and laity from different dioceses graced the occasion. 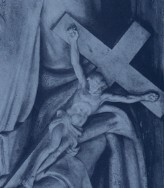 The Eucharist was presided by Rt Rev. Allessandro Pagani, smm Bishop Emeritus of Mangochi. After the sermon by Bishop Montfort Stima, all Montfortians and Daughters of Wisdom renewed their consecration to Jesus through Mary. Speaking on behalf of delegate superiors and provincial of Daughters of Wisdom and entire Montfortian family, Fr. Felix Mabvuto Phiri, SMM shared eloquently about St Louis Marie de Montfort and his intentions of founding the congregations. He also encouraged the jubilants, as pioneers, to lead the right path for young confreres. 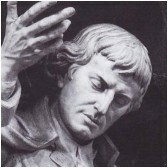 “As pioneers be united and show us, the young confreres, the right path in the footsteps of St Louis Marie de Montfort”, he remarked. The Montfortian family in Malawi inaugurated the Tercentenary celebration on 15th August 2015. Among notable activities carried out during the year were visitations to parishes and schools around Blantyre, Mangochi, Zomba dioceses; retreats and spiritual talks in Zambia; weekly programs on Radio Maria Malawi and Luntha Television; and vocation promotion rallies. The Montfort Missionaries arrived in Malawi, the then Nyasaland in 1901, and embarked on teaching catechism, opening schools and churches, organizing hospitals and health centres.